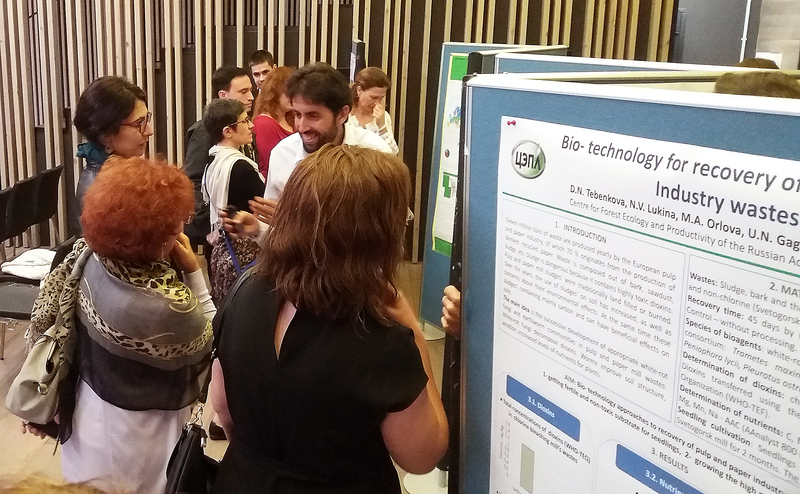 Tomás Busha, NFC-FRI, in conversation at poster session. 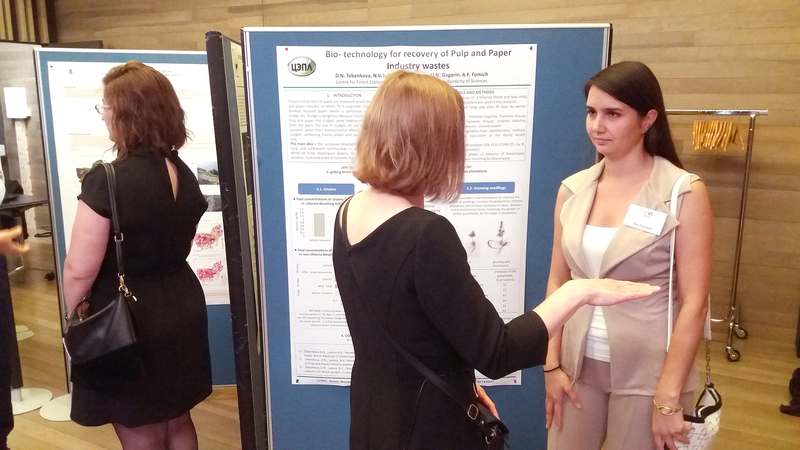 Daria Tebenkova shows and discusses her poster. 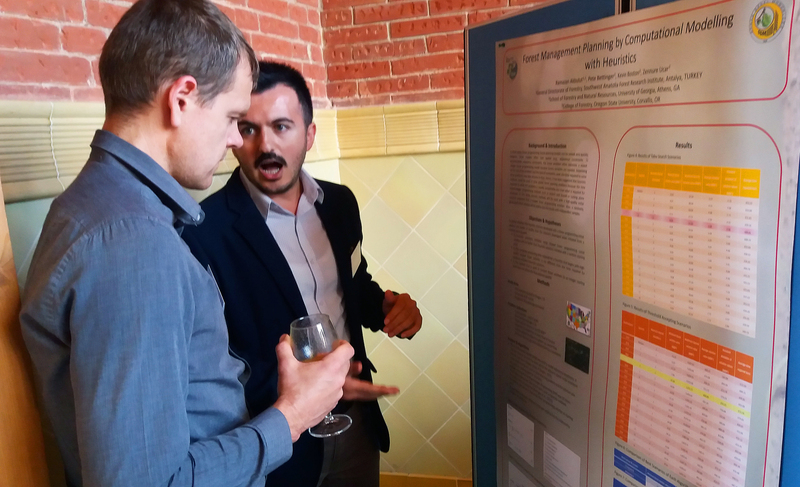 Maksym Buksha showing his poster made at the Summer School for Young Researchers 2017. 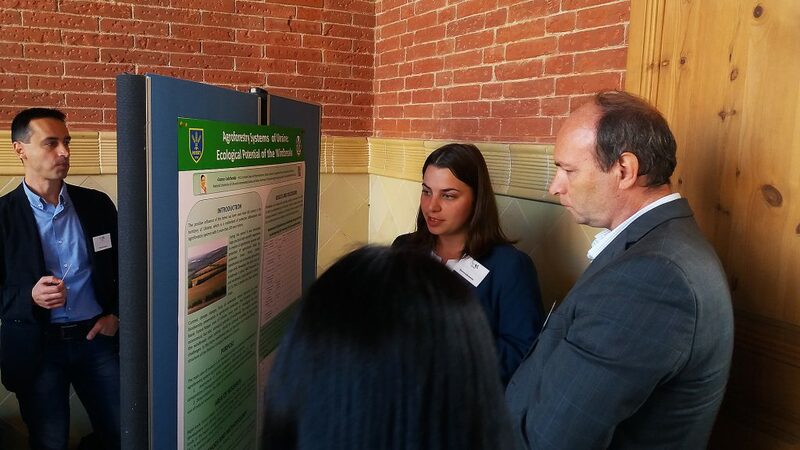 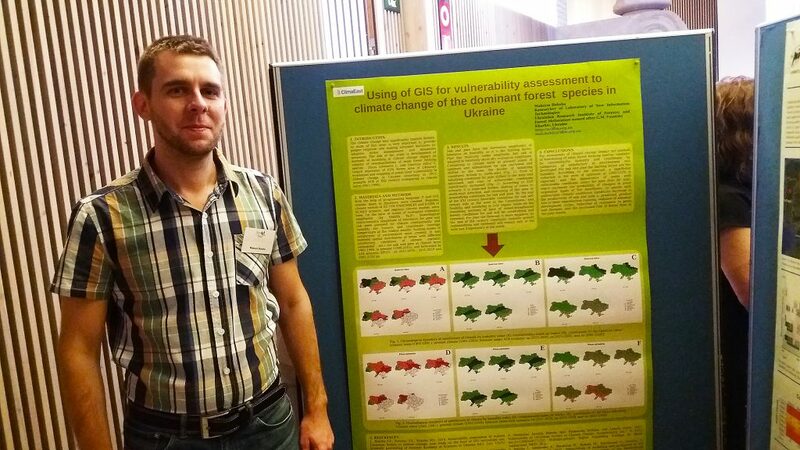 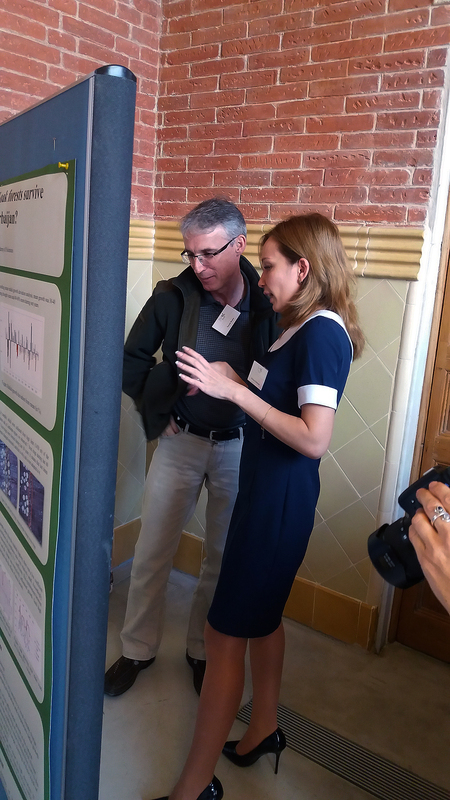 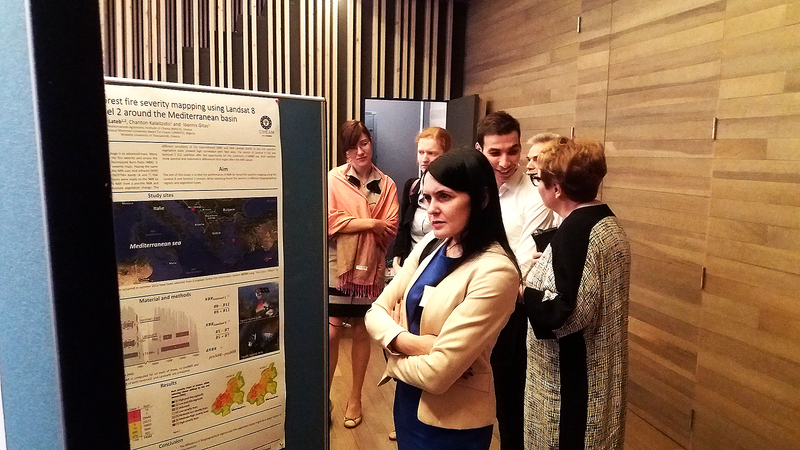 Ganna Lobchenko showing her poster to participants at Sumforest final conference. 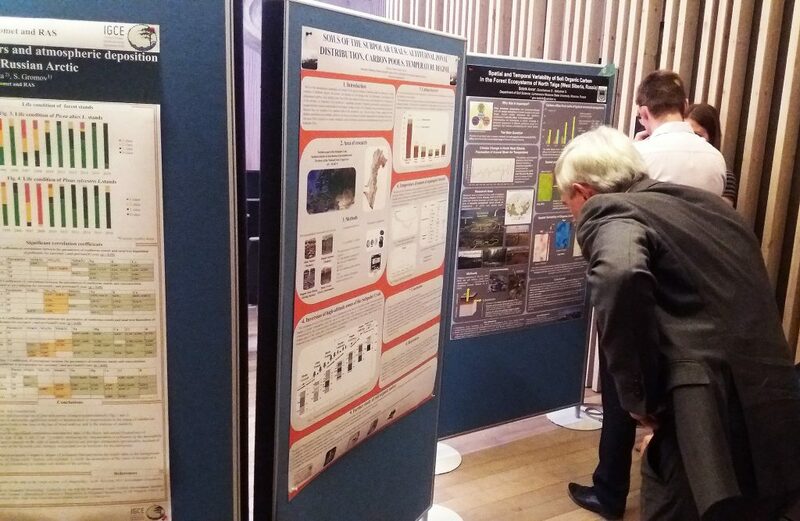 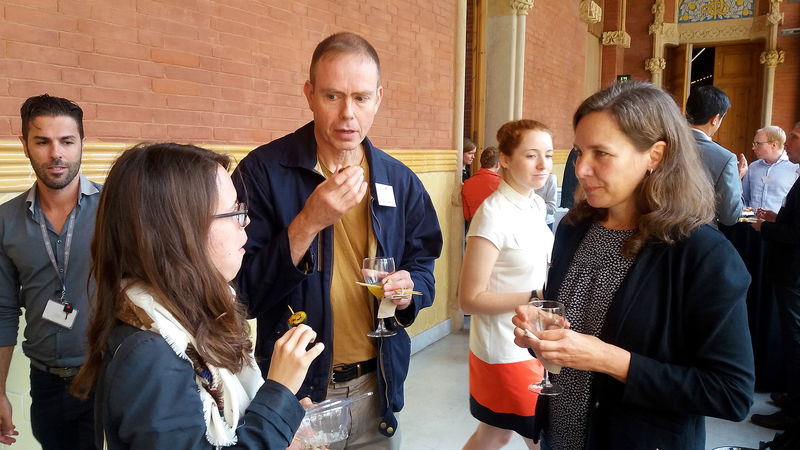 Jean-Luc Peyron having a look at one of the posters at the poster session. 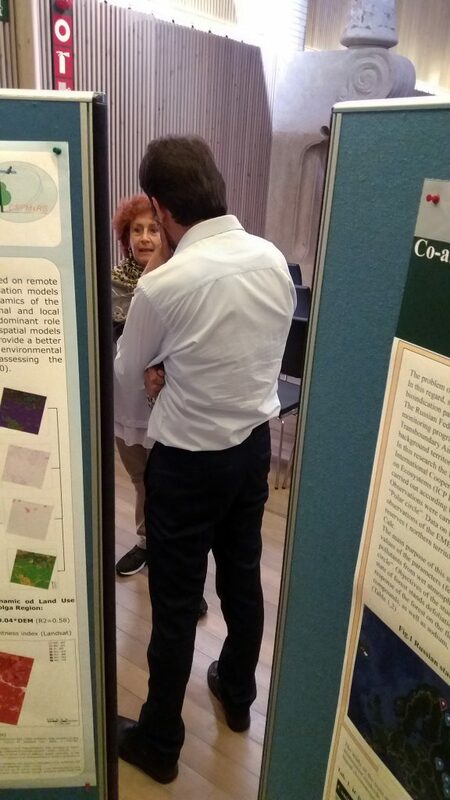 Annamaria Marzetti at poster session. 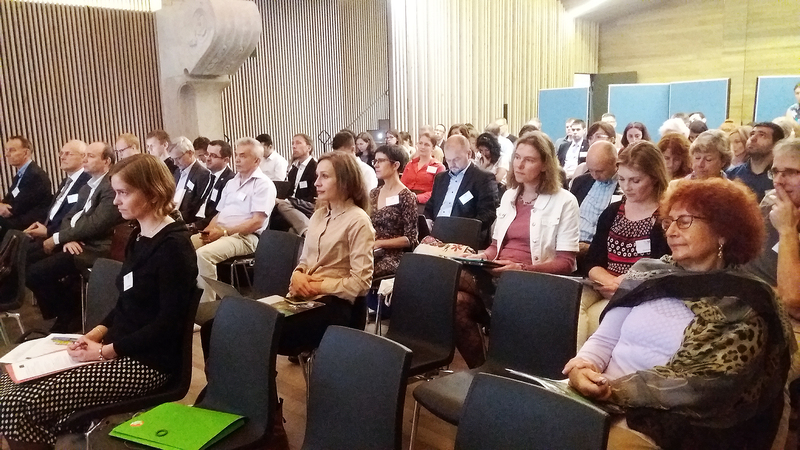 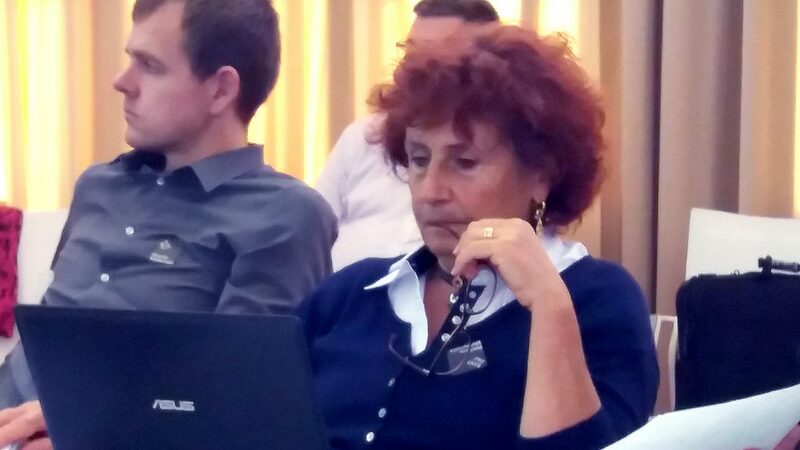 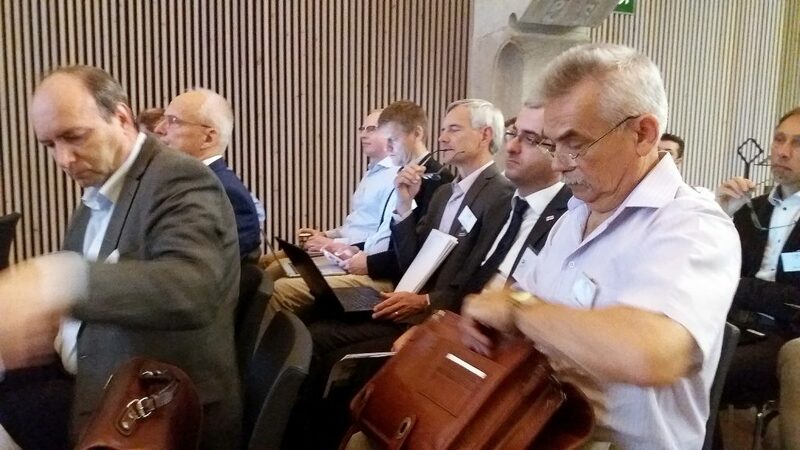 The conference gave a lot of thoughts and ideas to discuss with collegues from many countries. 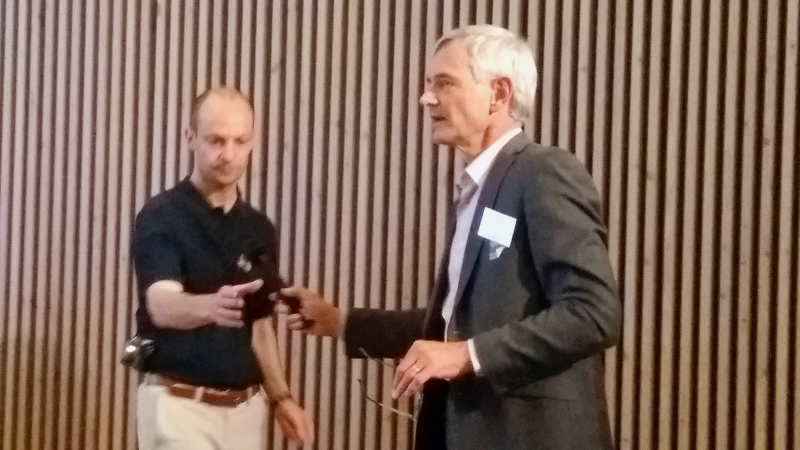 Dietmar Jäger, BFW, and Jean-Luc Peyron, GIP Ecofor. 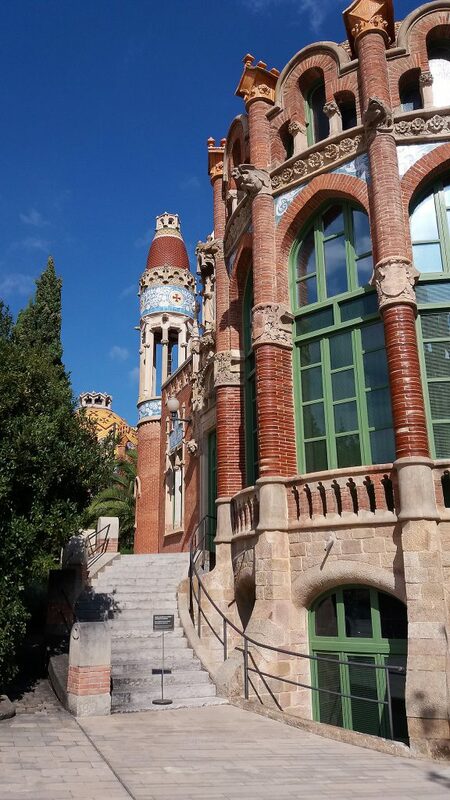 One of the side buildings at Sant Pau Art Noveau Site in Barcelona. 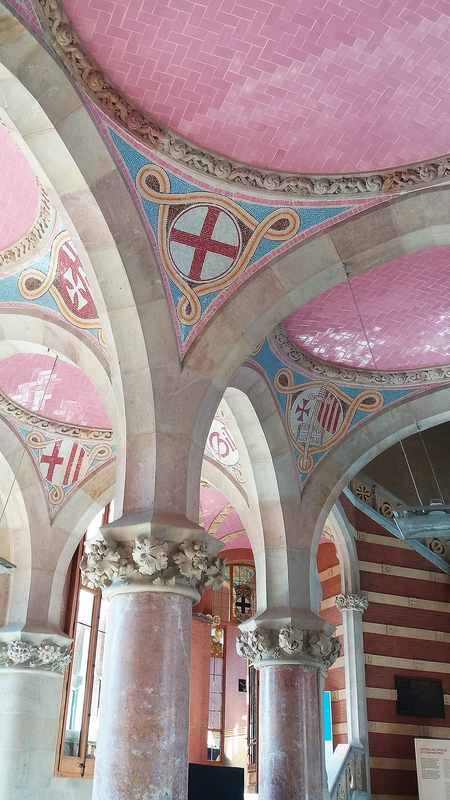 Beautiful roof in Sant Pau Art Noveau Site in Barcelona, location for Sumforest final conference “Bridging research, policy and practice for sustainable forest management”. 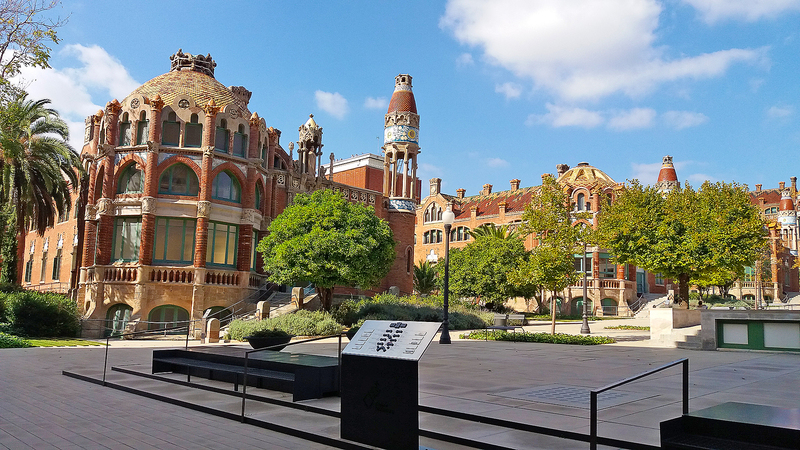 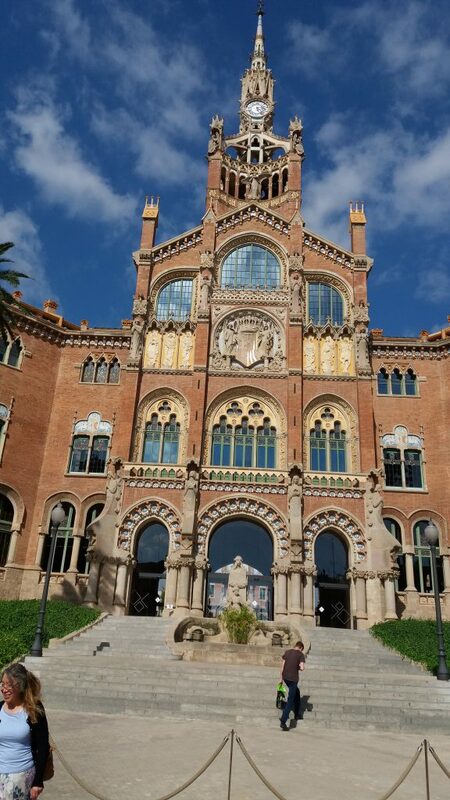 The inner yard at Sant Pau Art Noveau Site in Barcelona.